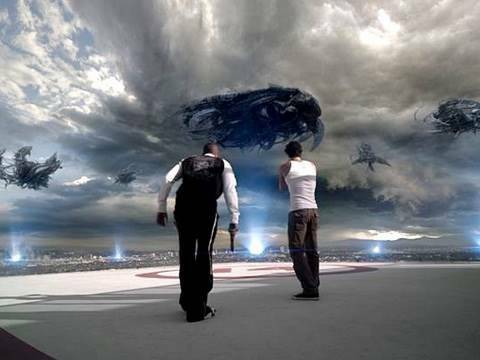 The Directors of “Skyline” Have Another Batsh*t Crazy Film To Give Us!!! Greg and Colin Strause who directed the recent film, “Skyline” are setting up their next film and by the sound of it, the film will be once again BATSHIT CRAZY!! The Strause brothers directed Alien Vs. Predator: Requiem if that tells you anything. Watch the entire Star Trek Episode below. Geek Deal of the Day!!! Star Trek Original Motion Picture Collection On Bluray!!! 61% Off!!! This entry was posted on Sunday, March 27th, 2011 at 6:40 pm	and is filed under Film, News. You can follow any responses to this entry through the RSS 2.0 feed. You can skip to the end and leave a response. Pinging is currently not allowed. « Clash of the Titans Sequel Plot Details Emerge!!! !